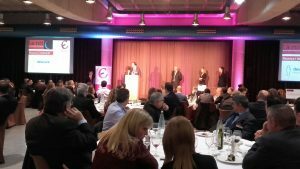 The Cerdanyola Empresarial gala took place yesterday in the Hotel of the Autonomous University of Barcelona, where Devicare collected the Prize for Research and innovation 2017 for its work in developing medical devices and solutions and remote patient monitoring. 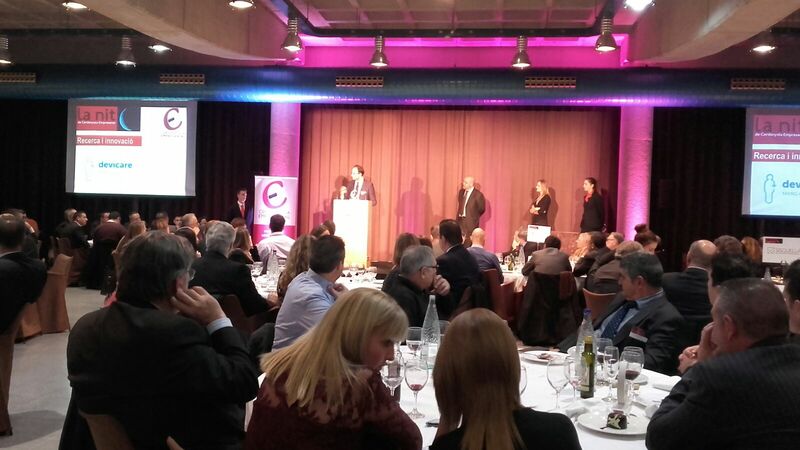 Rosendo Garganta, founder and CEO of Devicare, received the award from the president of the Entrepreneurs Association Lluís Sisquella. “This prize fills us with pride and is encouraging to the entire team. We work day in day out to find new solutions that allow us to address some of the biggest challenges in healthcare, such as empowering chronic patients to prevent relapses and improve their quality of life” said Garganta. 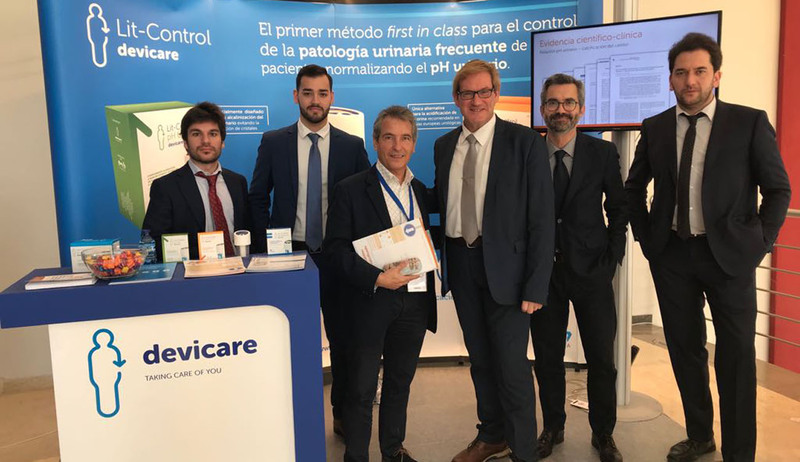 More than 320 people from the business and economic sector of Cerdanyola del Vallès, the area in which the Head Offices of Devicare are located, attended the event. Since its foundation in 2012, Devicare has developed a new category of healthcare products under the trademark Lit-Control® so that patients with recurrent urological pathologies such as renal lithiasis, cystitis, painful and overactive bladder syndrome, among others, can easily self-control their urinary pH and reduce the incidence of the illness. Lit-Control® is based on a technology with sensors that can measure clinical biometrics in body fluids such as urine, breath, blood, sweat and saliva, a breakthrough that is now spreading to other therapeutic fields such as cardiovascular (Tao-Control®) and mental health. The RDT work carried out over the last few years has resulted in first-in-class products, which are protected by eight patent families extending to over 10 countries, six clinical studies, three scientific publications and recognition from the Spanish Association of Urology (AEU). The innovation of Devicare’s products have come to the attention of the national and international medical community, the pharmaceutical industry -with which licence and distribution agreements have been signed- and private investors including Emesa Corporación Empresarial, Juan Knuth (Palex Medical), the Gaya family (Eladiet), the Xiol family (Peroxfarma) or Óscar Serra (Boyser). The company focuses on RDT through a dedicated team and strategic agreements with key institutions such as the Spanish National Research Council (CSIC), the University of the Balearic Islands’ Laboratory of Renal Lithiasis Research, the Institute for Research and Innovation Parc Tauli, the Puigvert Foundation, the Delfos Hospital, the Outpatient Clinics and Institutions Association of the Community of Madrid (ACESIMA), among others. In addition, the rigour of Devicare’s work has been certified by ISO 9001, ISO 13485 and the CE marking to market their products throughout the European Community.